“Our barefoot running range (no heel-toe difference) has been our number 1 seller these past few years and in most countries they sell so fast we struggle to keep up with stock,” says Tim Selby, marketing director for Merrell international. 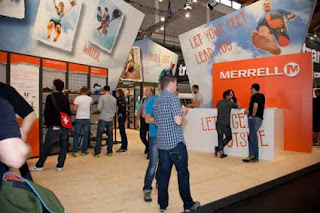 Merrell, locally distributed by Medicus shoes, has expanded their Trail Glove range to include a road running Road Glove and Dash Glove (for women) shoe that has more support and cushioning than its trail running counterpart. 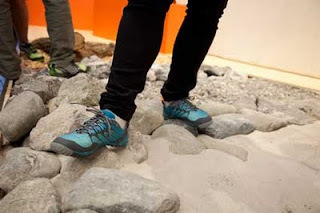 They introduced their Bare Access range which is designed for longer runs or as a good transitional shoe between traditional and barefoot shoes, they now have an aqua barefoot shoe range as well as a barefoot lifestyle range of women’s sandals and men’s shoes. Their latest Mix Master is a trail running/multi-sport shoe with a Merrell sticky rubber-bottom sole with ovals for traction, minimal drop and breathable upper. 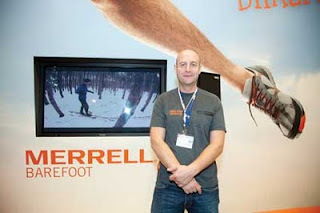 They have also launched a Merrell barefoot kiddies collection, to help children “start to run the right way”.